It was when I was the editor of Dance Australia Magazine. The French wine producer, Pommery champagne, had decided, for publicity sake, to sponsor a ballet in Melbourne to be performed by the Australian Ballet. The chairman of the Australian Ballet at the time was Sir Robert Southey, who was also president of the Liberal Party of Victoria. The administrator of the Australian Ballet was Noel Pelly. The only person they knew who voted ALP, in the whole ballet scene, was me! 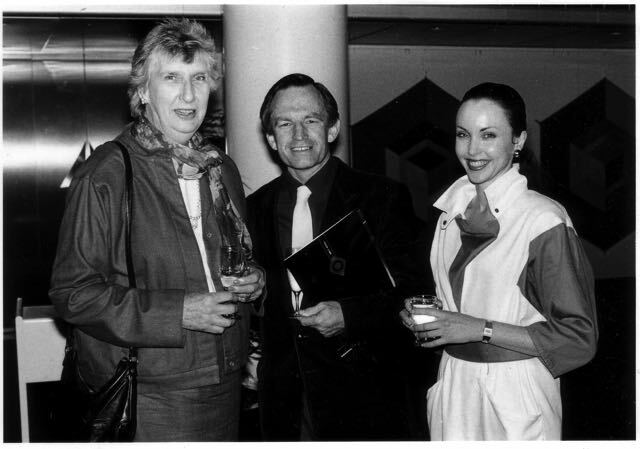 The Australian Ballet, as was its custom with new sponsors, put on a welcoming cocktail party for the Pommery people to which various dignitaries were invited. 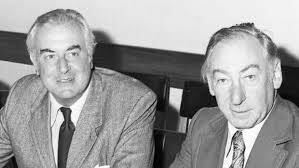 Gough and Margaret Whitlam were known to Pommery Champagne. When Gough was ambassador for UNESCO in Paris (1983-1986) Pommery was the only champagne Gough allowed on the premises. So Pommery was constantly and exclusively served at diplomatic events, which he hosted. Pommery (very aware of his patronage) asked that the Whitlams be invited to the aforesaid cocktail party as they were staying in Melbourne at the time. So Noel Pelly asked me to please come to the party as he could not think of anyone else who would be comfortable talking to the Whitlams. This I did. And a very pleasant meeting it was. I had a great conversation with the Whitlams, and of course, Gough knew all about my Rugby League superstar grandfather, knew a lot about ballet and the arts. And fears unfounded, Gough and Margaret interacted wonderfully well with everyone there. The next day, Gough was at some important meeting at the Arts Centre, and, after the meeting was over, was walking down the main hall to the ballet theatre. He was a towering figure and as he strolled down the hallway he was flanked on both sides by at least a dozen of the most important people in Melbourne. By sheer chance I happened to be walking in the other direction along the hallway. Every eye turned upon me in amazement. I cheerily replied – “Good Day, Gough”.